This is the perfect time of the year to work in your garden. 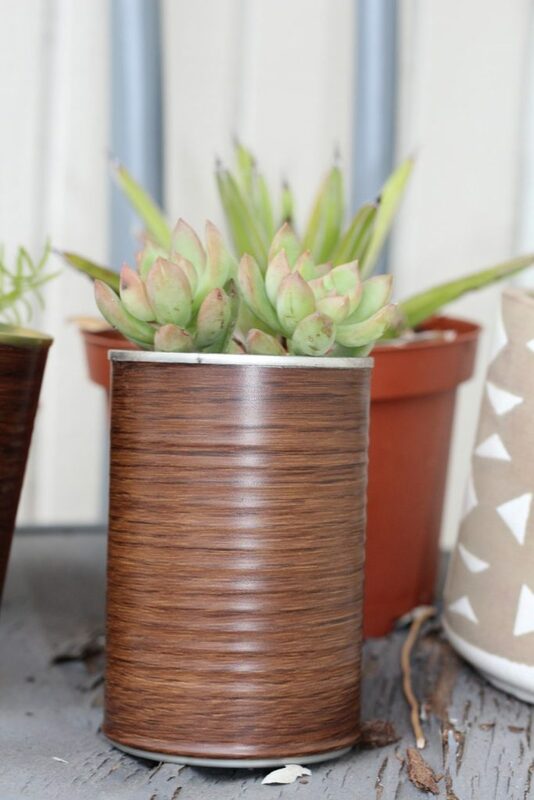 Whether you have an actual garden or patio plants as I do, this DIY project is an economical and sustainable way to add style. 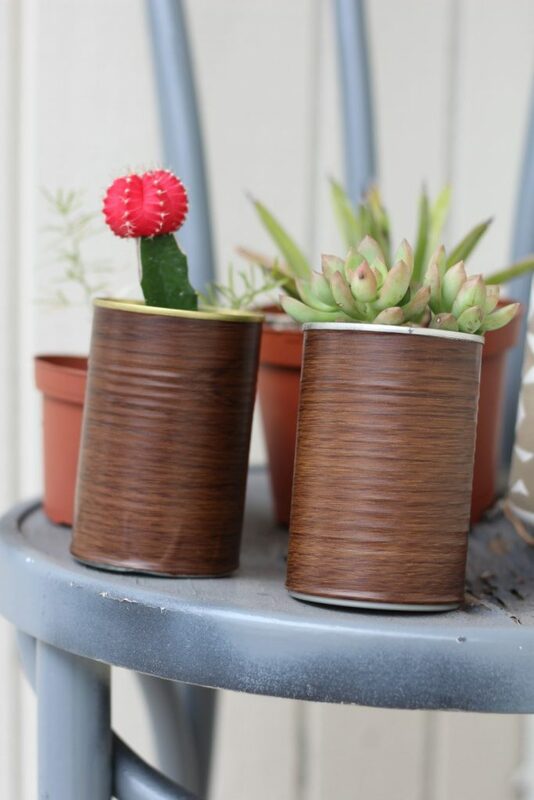 I love this project because it’s a great way to upcycle tins cans, and if you have children, they can also participate. Why spend money you don’t need to spend when you can get creative with your home decor? Here’s my foolproof DIY plant holder project. This is the easiest project I promise. So let’s begin! 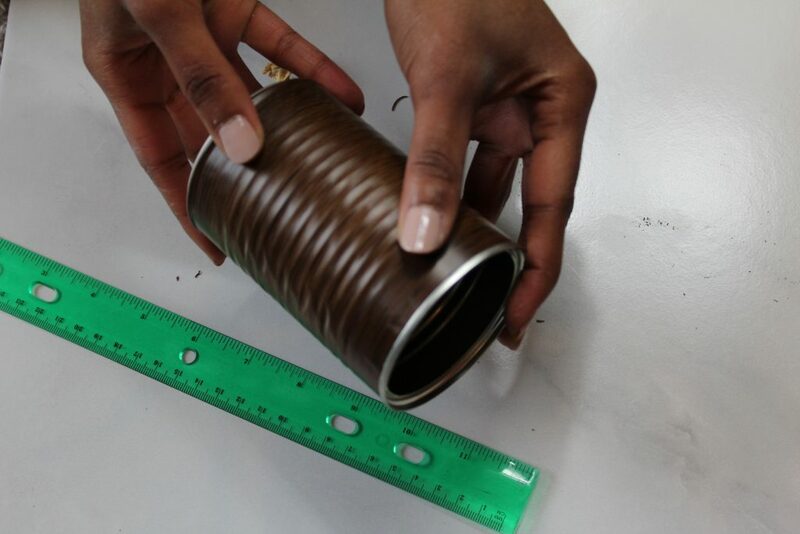 1) Start by measuring the circumference and length of your tin can using a seamstress measuring tape. 2) Roll out your cabinet liner. 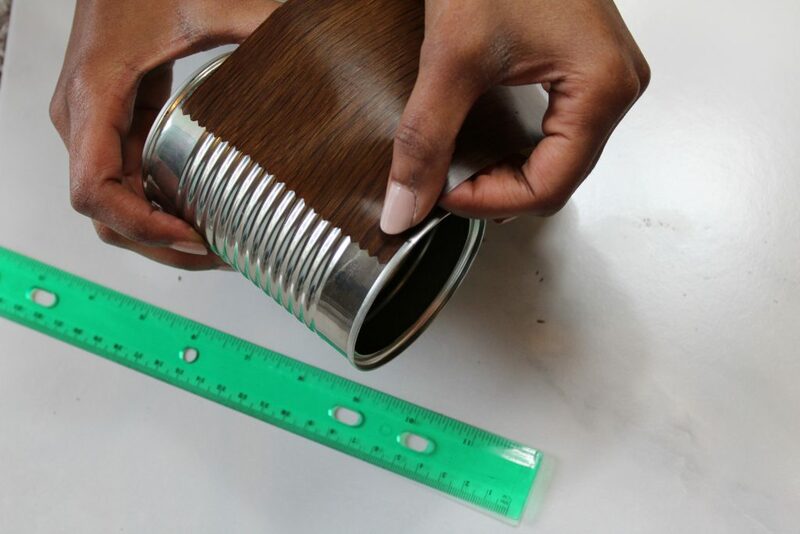 3) Take the measurements of your tin can and mark them on your cabinet liner using your ruler and permanent marker. *Be sure to mark on the back side of the paper. The cabinet liner I use has a measuring grid on the back to help cut the paper to fit your needs. 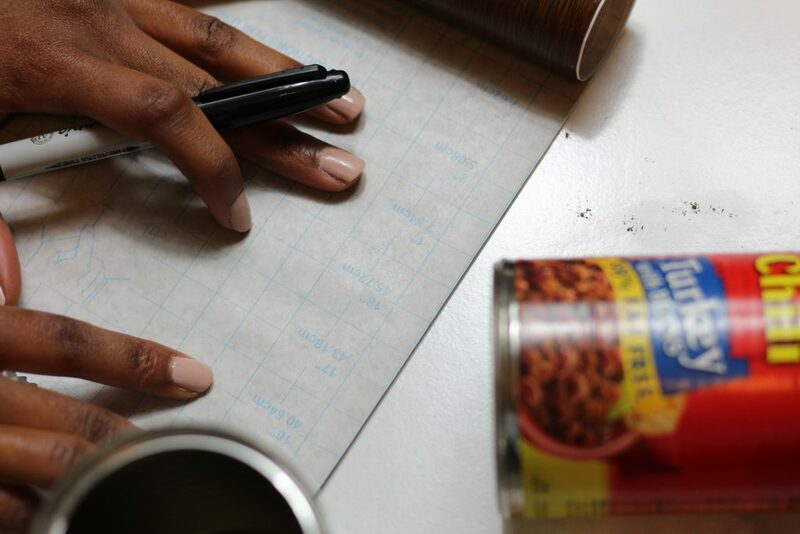 5) Once you’ve marked the length and circumference of your can on the paper, take your scissors and cut along those marked measurements. 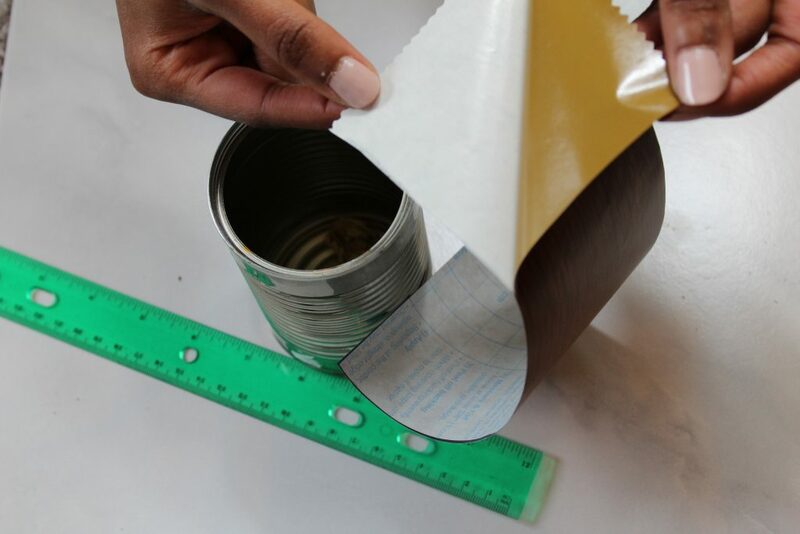 6) If your paper is adhesive, simply peel off the adhesive and place it on your can. 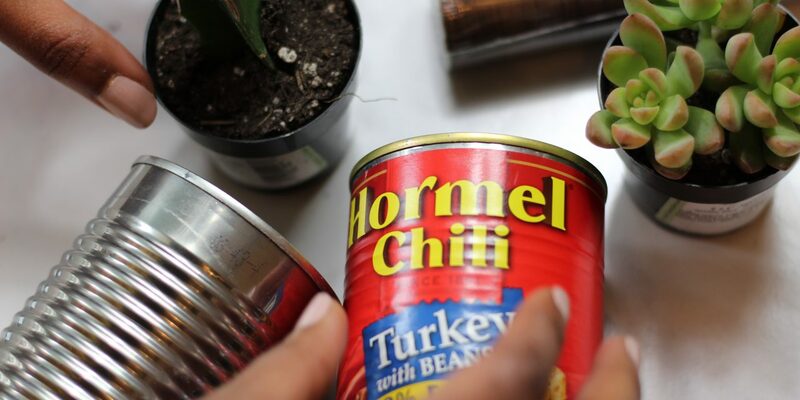 If your paper is not adhesive, use your hot glue gun to glue the paper to your can. 7) Lastly, press your paper down around the shape of your can to press out any air bubbles. You now have a posh plant holder suitable for small plants. I really like these holders for succulents, small cacti, and herbs. 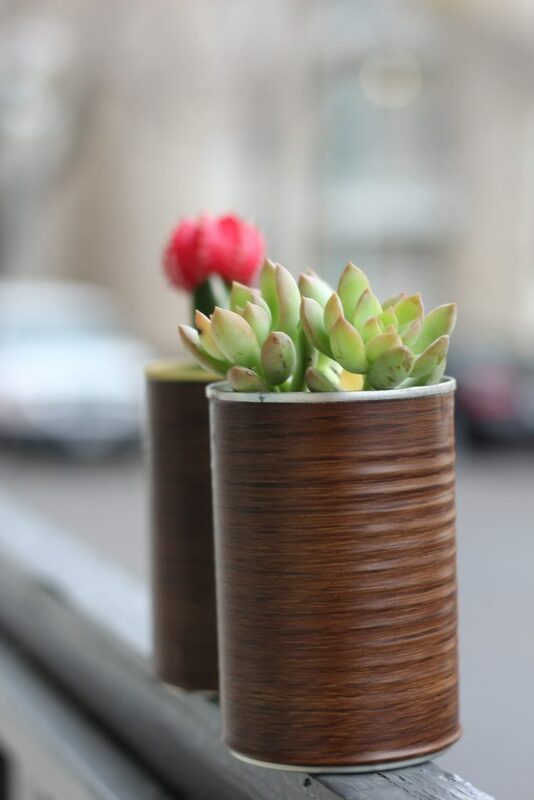 This is perhaps the easiest DIY project you will ever do, and the final product looks great too! The next time the One Spot at Target is calling your name, resist the urge to spend that hard earned money. Seek out easy DIY projects such as this that will fulfill that need to add beauty to your home. I hope you enjoy this project as much as I do. What other projects would you like me to post about? Please leave me a comment in the comments section below. Next3 Ways To Get Out of A Style Rut Fast!